This week we’ve got an amazing guest, somebody who I didn’t know was even a listener of the podcast until somebody introduced me to him, and said, “hey, have you heard of this guy Jeremy Engle up in the San Luis Obispo area of California? Jeremy is a guy who has got a very unique and different approach to business, but to give you some stats, I mean what did he do? In 2016, 400 units, 92 million. 2017, 99 million, was just a little shy of that magic hundred million dollar mark, and the guy’s just a rockstar. We’ve got a hot seat session, where I walk through Jeremy’s process for how he partners and works with Realtors. 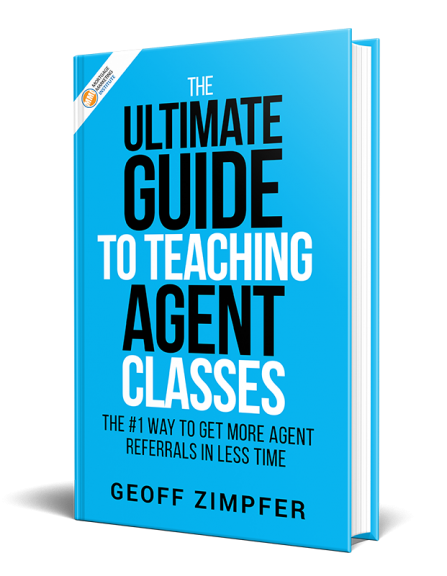 By the way, Jeremy will point out to you that his approach may not be appropriate for all, but I think there’s some really key lessons in here that you’ll get from the mindset on working with agents, and really what he spends most of his time doing, which is talking to people who want to borrow money, or talking to people who can send him referrals of those people who want to borrow money. By the way, out of those 400 units that Jeremy does, 35 of them are refinances, 35 out of 400. And so you hear Jeremy of course talk about his team, right? Whenever I interview a top producer like this, a mega producer, I want a breakdown of the structure of the team, so what you’ll hear again is that Jeremy is the rainmaker, does not have junior LOs out there producing units in volume for him. So we’re going to get into his process, his team, what he does to attract, capture and convert real estate agents, and the real key takeaway from this one is his cross-selling of listing agents. 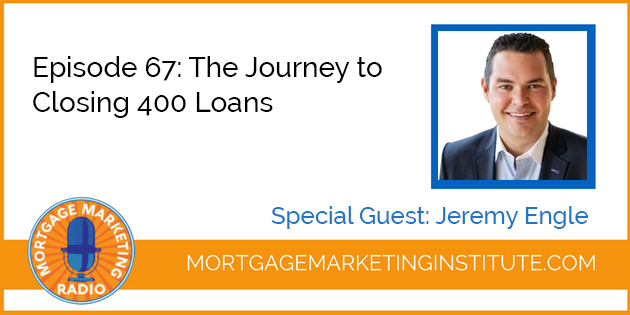 You’ll hear how Jeremy actually gets written in on the MLS to be a cross-qualifying loan officer on many many different transactions. He’s got about four or five agents that are doing this for him, and it’s really producing a lot of business for him on a regular basis. 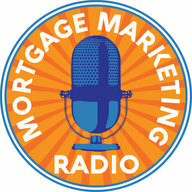 So that is one definite takeaway strategy you should apply from this week’s episode of Mortgage Marketing Radio. All right, so let’s get into this week’s episode. >> How Does One Person Manage 400 Units?